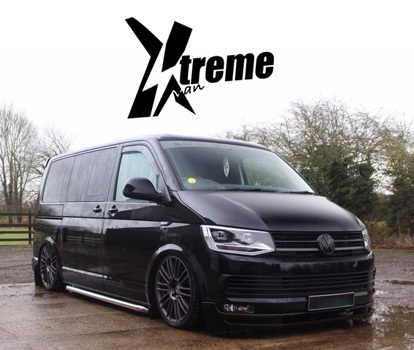 Xtreme van staff will be attending Bug Jam, however this is to enjoy the show and not trade. This means that there will be no body here to answer the telephone/e-mails/get orders out from Thursday 4.30pm 19th July until Tuesday 8am 24th of July. Thank you for your support and business and most importantly enjoy the show! Fridays will be awkward one, due to us being into show season (albeit the weathers not helping!) there are plenty of shows that we will be trading or attending with the view of putting faces to names. Sometimes the decision to go to a show will be last minute... normally weather depending... this means that any orders placed on a Friday afternoon may be shipped out the following Monday after the weekend. Also, there may not always be someone here to answer the phone. Sorry for any inconvenience caused and thank you for your support and business. As you are probably aware we are trading at Big Bang Camper and Bus show at Santa Pod in northampton. Please note there will be no one on site to answer telephone/ e-mails or customers at the counter from 4.30pm Thursday 26th April - 8am Monday 30th April. As a special show offer we will be offering a free fitting service on any T4 side bars sold on the friday and Saturday between 6-7pm. We will only be taking limited stock so to guarantee you get some make sure you pre order them! The show takes place on the 27th - 29th April at Santa Pod Race way in Northampton. For more information on the show click on the picture. 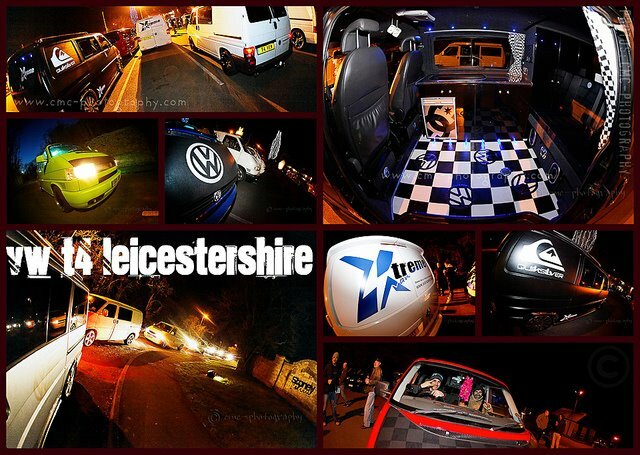 Abi & Jay went to the first meet off the T4 forum for the Leicestershire meet 5th March and it was a very good turnout, around 18 vans I think I counted then panicked thinking I was running out of fingers & toes! Theres a montage of photos in our gallery, to see all of them click the link here. Roof rails and future products! 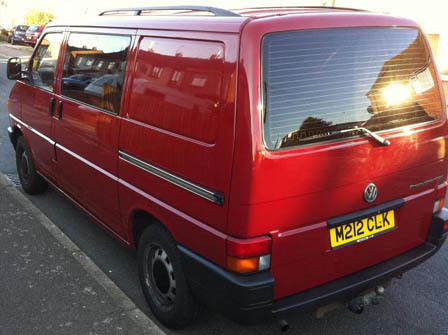 We now have available T5 SWB Roof Rails to add that little bit extra to your van. Keep your eye out for our new headlamp upgrade kit, which incorporates the use of daylight running lights. 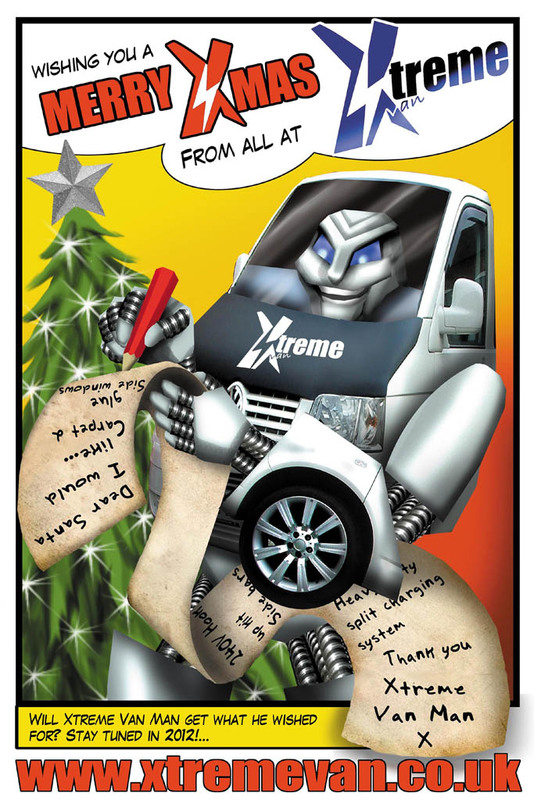 Just a short message to say thanks to all of our customers. We are now back in the office and are working on all the orders that came into us over the holidays. You should all recieve your orders very soon! Just to let you know that no orders will be sent out from the 23rd of December to the 3rd of January. 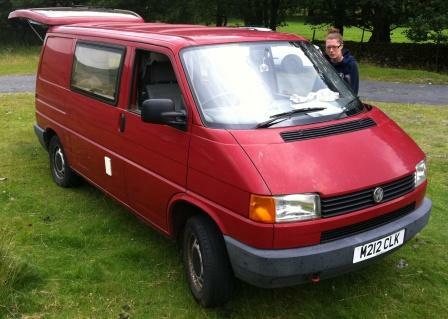 This T4 was stolen out side of Blair Athol Road, Sheffield between 21:10 on Wednesday 7th December, and 07:10 on Thursday 8th December. It has a very noticeable long gouge/scrape/dent in front of the drivers side wheel arch where the previous owner drove down the side of a barrier. 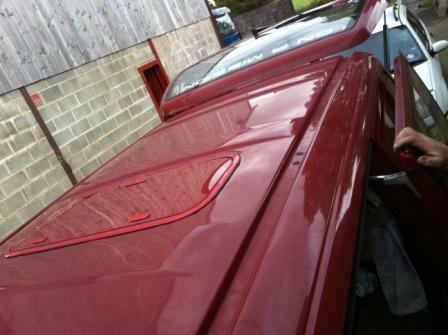 It also has a very distinctive red sun roof as you can see in the pictures, also fitted with roof rails from a VW Sharan/Ford Galaxy. And a roof mounted aerial. Inside the van its got the "typical" grey side cabinets, with some metal look flush power sockets above the fridge opening. If any one has any info please inform the police. 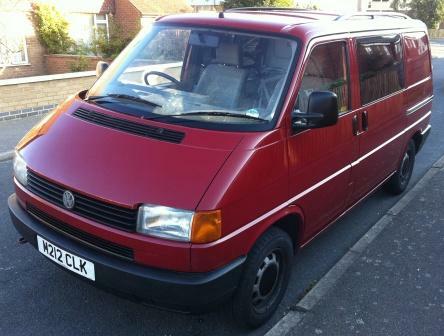 Master Chef In Your Van! Keep your eye in the hobs and sinks section for all you need to create those perfect meals whilst camping! keep an eye on this page, as ive the web wizard nick working his magic at the same time as the new website.